18-Piece Special Set for XZN Multi-Toothed Screws. For motor (cylinder head), drive shafts, rear axles. Includes 1/2" square drive. Screwdriver bits 5 - 14mm in normal version (55mm) and 6 - 14mm in extralong version (100mm). Also includes outside doublehexagon inserts 9 - 21mm. See photo for full contents. 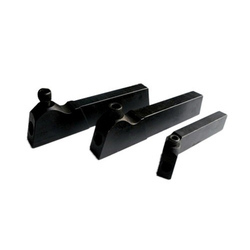 Title: 3/4 x 1-5/8 Toolbit Holder- Bit : 7/16"
Shank Size: 3/4 x 1 5/8 x 8"
Eclipse type tool bit holders. Backed by the years of experience and expertise, we are engaged in offering an extensive range of Tool Bit Holder to our customers. The best quality substance which is tested for quality on predefined parameters is used for the development of this Tool Bit Holder offered by us. With a firm commitment to quality, we are involved in offering a wide ambit of Bit Holder. 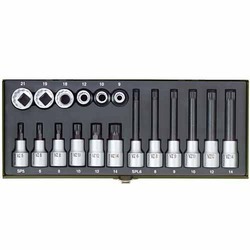 Backed with the support of an adroit and nimble staff of professionals, we bring forth an optimum range of Bit Holder Adaptors. Blade: High grade chrome-vanadium steel, through hardened. Handle: Ergonomic Wiha Soft Finish® multi- component handle with roll-off protection. Bit holder: Stainless steel with strong magnet. Suitable for: DIN 3126, ISO 1173, style D 6.3. With prior knowledge of the industry we are actively engaged in providing best quality Rubber Bit Holder to our buyers. We provide all type of magnetic bit holder.